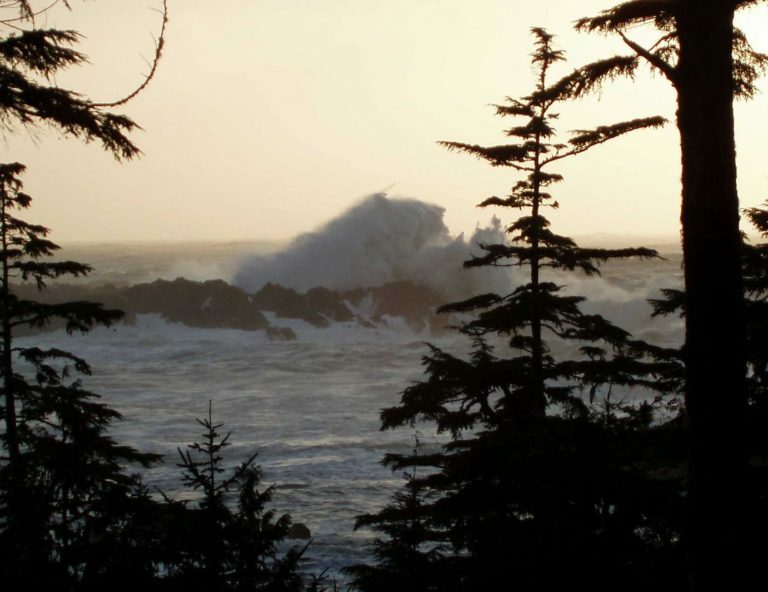 Located on an 85 ft. cliff over looking the rugged Pacific coastline and surrounded by old growth forest A Snug Harbour Inn is the ideal escape where you can relax and recharge. We have four ocean view rooms, two king and two queen, plus we have two forest view king rooms. Each room has a fireplace, private bathroom with jetted tub and heated floors. 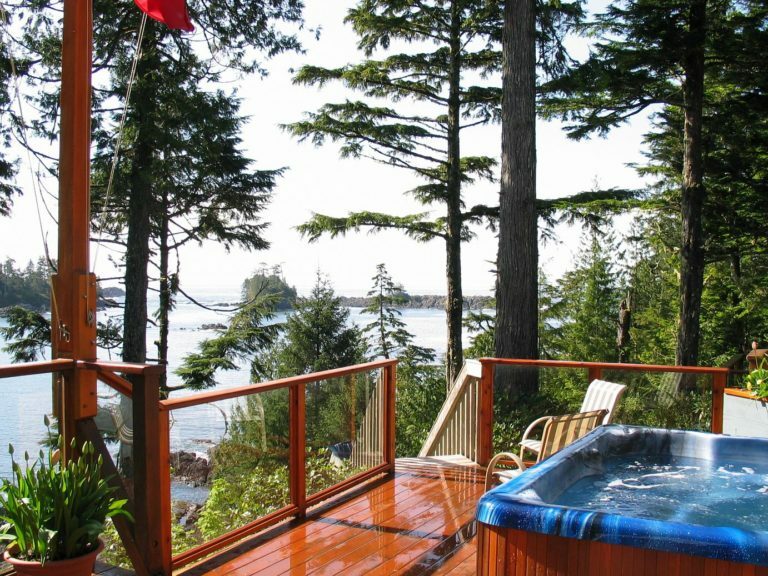 There is an sitting area inside and all rooms have a private deck four with awesome ocean views and two that look in to the old growth forest. There is a Great Room with a conversation pit and giant fireplace in front of a wall of windows that look out to the ocean. There is also a light kitchen for all the guests to use that will make your stay more comfortable. 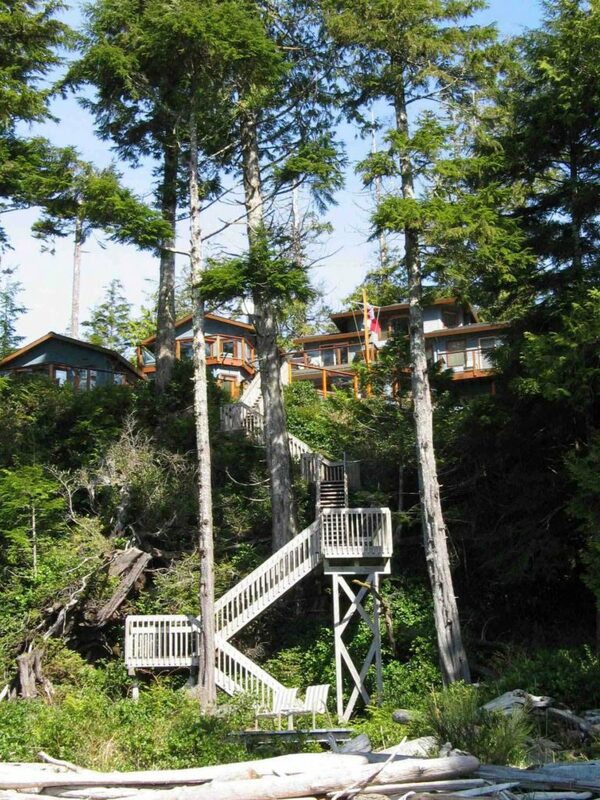 Off the Great Room is the main deck with hot tub and stairs down to our private beach and helicopter pad. Purpose-built as a small inn provides you with total privacy but also the option to mingle with other guests. A full breakfast is served each morning that includes Sue’s fresh baked goods, fruit smoothie, breakfast entre, coffee or tea. We are an adult-only property and all rooms have one bed, a cot can be placed in some of our rooms to accommodate a thrid person. We have a pet friendly room as well as a room designed for wheel chair access.